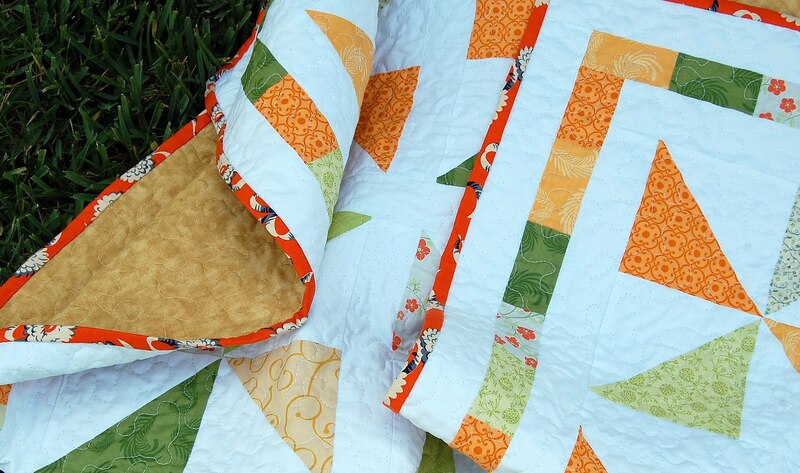 This lovely handcrafted quilt is a breath of fresh summer air. 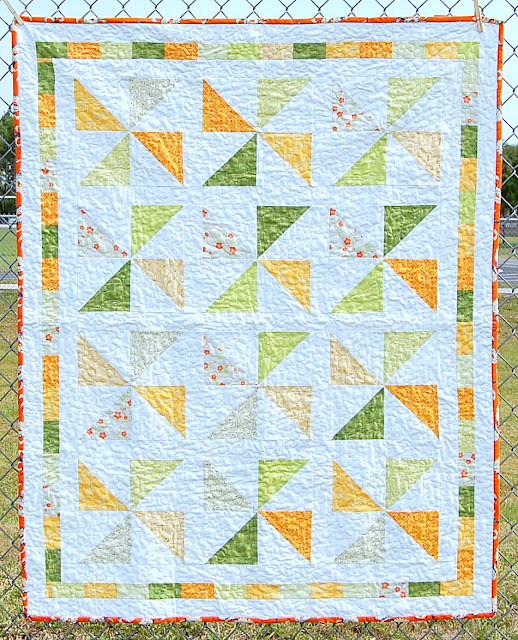 A collection of pinwheels crafted from greens, oranges, and golds, this quilt is both colorful and soothing at the same time. 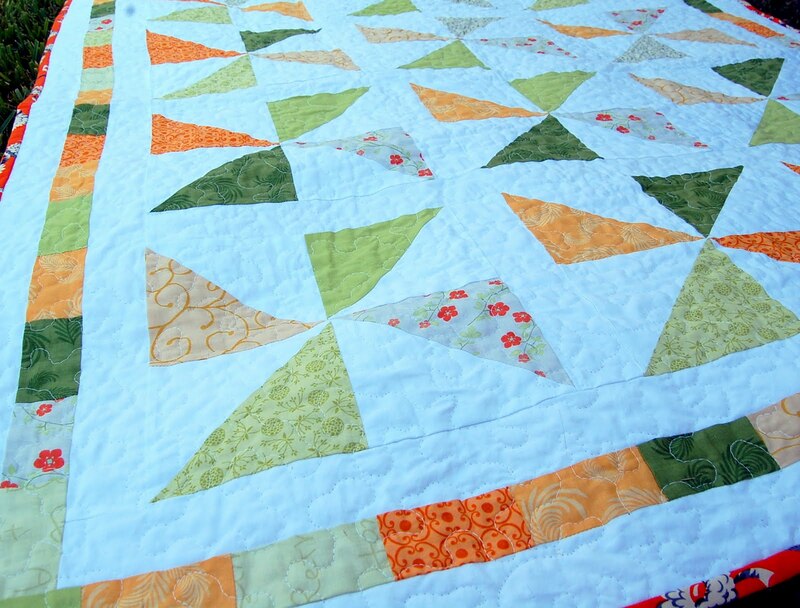 Each pinwheel is set off with white sashing, as is the coordinating border. The quilt back is a mottled gold with a simple strip of fabrics from the front. 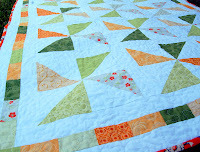 The binding is American Jane orange floral from the Recess line. 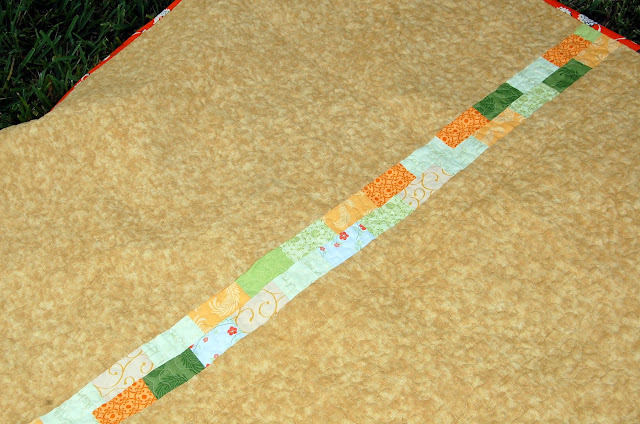 The quilt is quilting with a meandering free motion stitch. Measuring approximately 42" by 50" this quilt is perfect for a wall hanging, floor mat, toddler bed cover, or travel blanket. And it's available in my shop. I love, love, love this! The pinwheel is fast becoming my go to block for fun little quilts. This one is so summery...made me want to play in the yard. Thanks for posting it, can't wait to dig thru my stash.